To import invoices with foreign currency into Xero, you need to enable respective foreign currencies in your Xero account before you can export invoices containing foreign currencies into Xero. 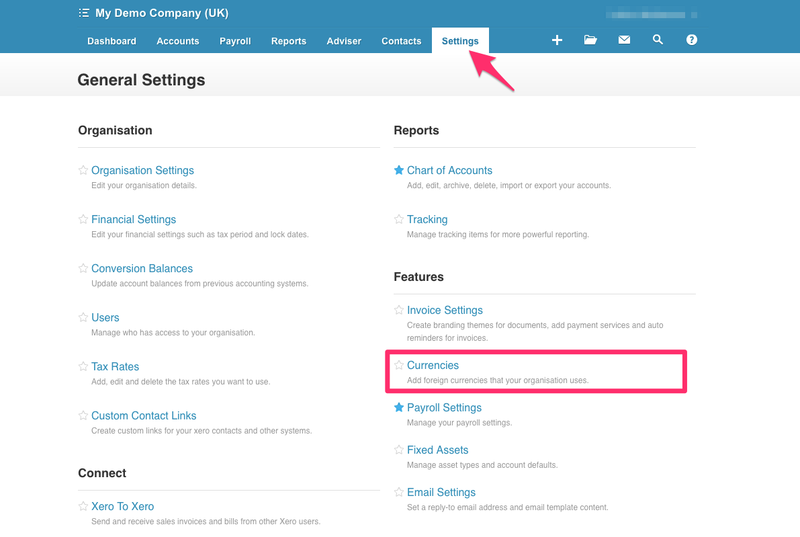 To set it up, please log in to your Xero organisation, go to the ''Settings'' and then to "Currencies". Next just add the foreign currencies that you regularly work with. Now you can export foreign currency invoices into Xero.